Pep Guardiola believes City must win all the games that remain to fend off the challenge by Liverpool. 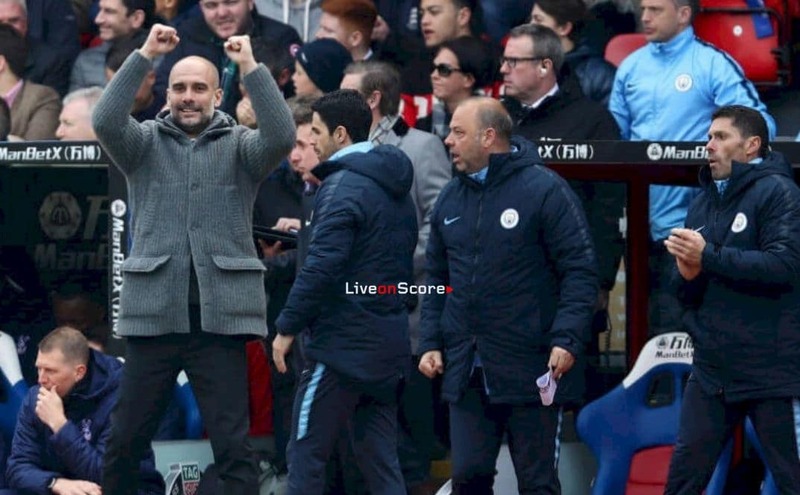 The defending champions made it nine Premier League wins on the bounce with a 3-1 win over Crystal Palace and the City boss thinks only another five more victories will be enough. “I am so pleased after the amount of games we have had,” said Pep. “We played so well for 75 or 80 minutes – and then they scored a we lost a little control for a few minutes, but I am really pleased. “We expect Liverpool to win all of their remaining games, but the Premier League is in our hands and we have to win all our games and that’s what we need to do if we want to win the title back-to-back. “The players have shown me they want to do it – I didn’t have any doubts about that – and we have taken three points from a very difficult place to win. “Of course, Liverpool or we could drop points when you don’t expect, and football is unpredictable in that sense. The Catalan also had praise for his defenders, adding that the defensive partnership of Vincent Kompany and Aymeric Laporte were outstanding. Zidane: "We must be motivated if we're to finish as high up as possible"